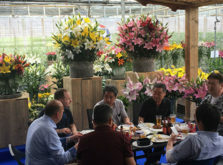 C.Steenvoorden B.V. is committed to supplying year round top quality flowerbulbs and tubers for more than 50 years, to professional flower growers, importers, wholesalers and flower festivals all over the world. 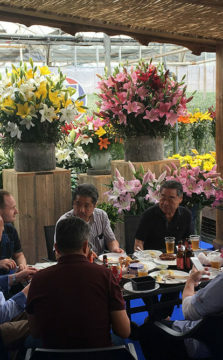 Our main products are Lilium, Gladiolus, Tulips and Iris, but all other kind of flowerbulbs can be supplied as well. With 5,000 m2 of testing greenhouse for quality control and research, high-tech processing and storage facilities, up-to-date fully automated Lily packing line C. Steenvoorden B.V. has all the necessary tools to maintain high quality standards. On our recently renewed website www.steenvoorden.nl a wide selection of varieties is available plus technical growing information. For prominent news and events you can also follow us on Facebook C.SteenvoordenBV. Our sales team will be more than happy to help you with any inquiries and questions you might have. 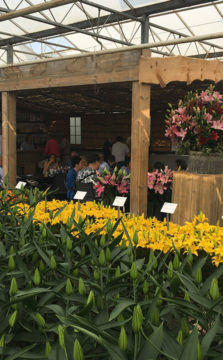 You are always welcome to visit our office and greenhouse, also during the yearly reoccurring Dutch Lily Days. Please do contact us if we can be at any service to you.